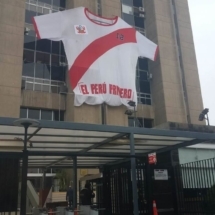 An important part of any city leader’s job is promoting the city. As a major U.S. city, Houston competes on the world stage for foreign direct investment, tourist dollars, major conventions, and sporting events. The mayor serves as a champion for the city, investing time and energy to keep Houston visible and keep us top of mind when world leaders, corporate heads, and other key decisions makers are deciding where to expand operations, invest resources, or even send world-class exhibitions or performances. Additionally, trade missions often result in many thousands of dollars in earned media value as a result of numerous press interviews with the mayor and mission leadership, conducted abroad, designed to promote opportunities in Houston. 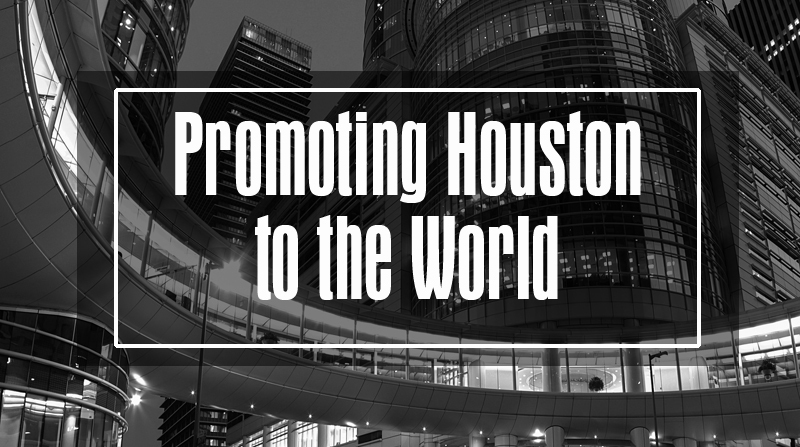 Since taking office, Mayor Turner has represented Houston abroad for the purpose of bringing major conferences to our city and promoting increased trade and investment. 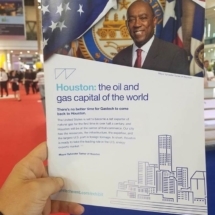 Mayor Turner attended the World Petroleum Congress (WPC) meeting in Bahrain in December 2016 to secure the bid for Houston to host WPC 2020. Mayor Turner skillfully lobbied voting delegates and formally presented the closing argument for why Houston is the ideal host city for the conference. Under the leadership of Mayor Turner and Houston First, and with the support of the local bid committee and Houston’s friends around the world, Houston won the bid. 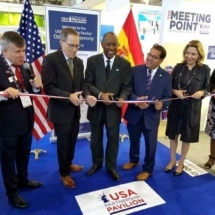 The conference, slated for December 2020, is expected to have an economic impact of $80 million $100 million and draw 15,000 attendees. 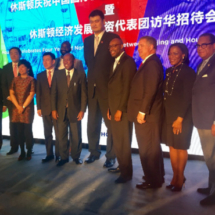 In December 2017, Mayor Turner led Houston’s largest international trade delegation, consisting of approximately 70 members, to China. 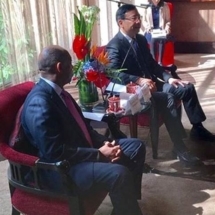 Chinese leaders told the mayor they are eager to expand business dealings with Houston companies and institutions in the fields of health care, energy, engineering, education, finance, aeronautics and other key areas where the city has unique expertise. 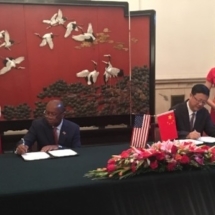 Mayor Turner and/or the city’s business leaders signed a series of official memoranda of understanding expressing plans to widen commerce with the country. The delegation held meetings and business forums in Shanghai, Beijing and Houston’s sister city, Shenzhen. 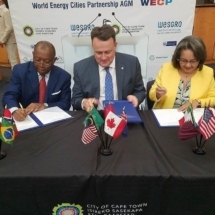 Houston serves as the permanent secretariat of the World Energy Cities Partnership. 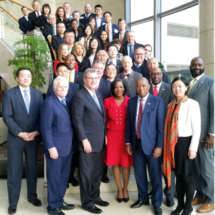 While in South Africa for the rotating annual general meeting of the organization, Mayor Turner and a delegation from Houston met with officials of Cape Town, Tshwane, and Johannesburg. The meetings primarily focused on energy, aerospace and healthcare opportunities. Houston’s exports to South Africa include motor vehicles and parts, industrial machinery, chemical products, electrical machinery, oil and refined products, plastic products, optic and photographic instruments and precious metals. Imports include organic chemicals, mineral fuels, iron and steel, aluminum products, motor vehicles and parts and edible fruit and nuts. 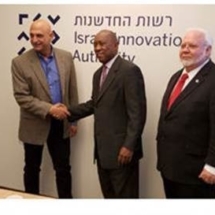 With plans in the works for Houston’s new Innovation Corridor, Mayor Turner led a delegation to Israel in June 2017 to meet with government and industry leaders to hear first-hand how Israel has become the country with the with most high-tech start-ups per capita. Leaders shared valuable insights in this area and provided leads for collaboration opportunities. 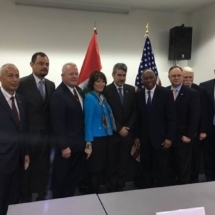 While in Israel, Mayor Turner took the opportunity to visit the Palestinian territories and participating delegates had the opportunity to hear from officials and business leaders there. “I found the Mayor’s Trade Mission to Israel to be one of the most informative and useful visits in my professional career,” said Lone Star College System Chancellor Steven Head. “While I had traveled to Israel previously, this visit included four intensive days of meetings with business, political and educational leaders that provided an in depth understanding of opportunities and challenges in exchanges with the country of Israel,” he added. 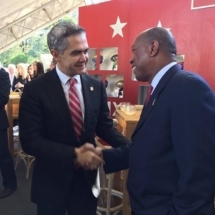 In November 2016, Mayor Turner and the Greater Houston Partnership led a delegation of top Houston-area business representatives on a trade mission to Mexico City. More than 1,000 Houston companies report doing business with Mexico and Mexico is Houston’s number one international trading partner. The Houston delegation hosted two high-level business forums: one focused on exchanging best practices and intellectual capital in the energy industry featuring a keynote address by Roberta Jacobson, U.S. ambassador to Mexico; and a medical research forum led by Dr. Bobby Robbins, then-president and CEO of the Texas Medical Center, to explore collaborative opportunities on genomic medicine and obesity-related diseases. Additionally, delegates met with various government officials including Mexico City Mayor Miguel Mancera. 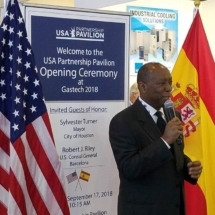 Mayor Turner and the Greater Houston Partnership led a trade and investment mission to Peru, Chile and Argentina in July 2018. The mission focused on promoting Houston’s advantages for investment and trade and enhancing key government and business relationships between the Houston region and the three countries. Targeted business sectors included energy, trade and logistics as well as tourism. In addition to strong business and cultural ties, Houston is well-connected to South America through direct air service to the region including Lima, Peru; Santiago, Chile; and Buenos Aires, Argentina. United Airlines’ gateway to Latin America is Houston’s George Bush Intercontinental Airport, where United operates nonstop service to more than 50 destinations throughout Mexico, Central America, South America and the Caribbean. Following the Mayor’s successful mission to South America, Buenos Aires appointed a representative in Houston to stay abreast of opportunities, and the American Chamber plans to send a delegation in the spring of 2019 related to healthcare to follow-up on opportunities that emerged during the mission. Houstonian and Chilean officials will continue the discussion began on the mission surrounding resiliency. The Chilean government has broad experience handling a range of natural disasters, including earthquakes, flooding, and volcanic eruptions. 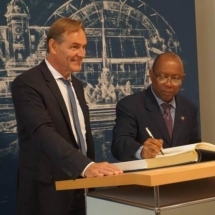 Chilean officials and Mayor Turner signed an MOU during the visit to continue sharing best practices. 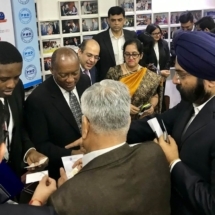 Mayor Turner led a trade mission to India with the Greater Houston Partnership in November 2018. 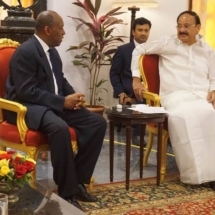 Mayor Turner had a wide-range of meetings in both New Delhi and Mumbai, including a meeting with Vice President M. Venkaiah Naidu. Direct flights were one of the main topics of conversation with India’s Minister of Tourism K.J. Alsphons. 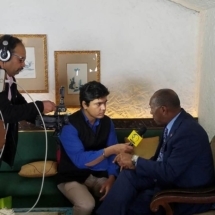 “Direct flights would encourage more business activity and tourism to and from India and Houston,” said Mayor Turner. Senior Vice President of Tourism of Houston First Jorge Franz noted that tourists from India spend more money per capita in Houston than any other group from abroad. Parallel meetings featured Gabrielle Rowe, chief executive of Station Houston, a startup accelerator aiming to transform Houston into a world-leading hub for technology and innovation and entrepreneurship. 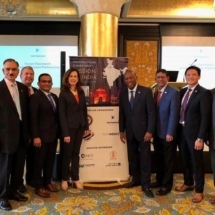 The mission to India included business forums in Mumbai and Delhi, where participants heard first-hand from Mayor Turner and Vice President of the Greater Houston Partnership Susan Davenport and other delegates about opportunities available in Houston. In July 2017, Mayor Turner led a trade and investment mission to the U.K. accompanied by President and CEO of the Texas Medical Center (TMC) Bill McKeon among others. Following the mission, which included meetings to discuss educational and medical collaboration, the team at the British Consulate General in Houston and the TMC worked for months to create the BioBridge, which establishes a life sciences and technology marketplace for emerging technologies. Now start-ups in the UK and in the TMC will have a point of entry into new markets abroad and a support system to help them successfully navigate doing business in the UK or the US. 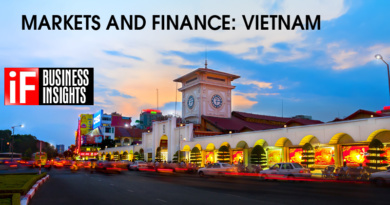 Could your business benefit from joining a trade mission? 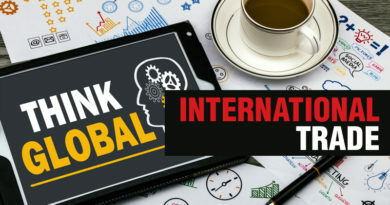 The best-qualified companies for missions represent industries that have products and services that are suited for a targeted international market. Trade missions are most often organized in cooperation with a chamber of commerce. For example, the Greater Houston Partnership and City of Houston Mayor’s Office of Trade and International Affairs collaborate on many occasions to produce trade and investment missions that open doors for Houston-area companies while at the same time forging stronger relationship between City of Houston leadership and high-level government officials abroad. The Greater Houston Partnership and bilateral chambers are excellent organizations through which to gain knowledge of international markets and to participate in missions. 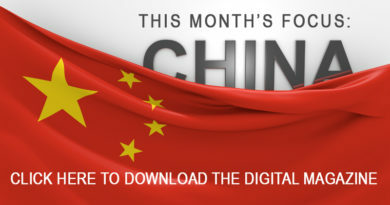 The Mayor’s Office of Trade and International Affairs lists a number of bilateral chambers on its web site – https://www.houstontx.gov/motia/BusinessResources.html. You may also follow the office on Twitter and Facebook to obtain more information about missions Mayor Turner leads abroad. Above: Convention floor at Gastech 2018 and an ad promoting Houston as the next host city. Gastech draws together more than 450 speakers, 3,500 delegates and more than 30,000 attendees who visit more than 700 international exhibitors. 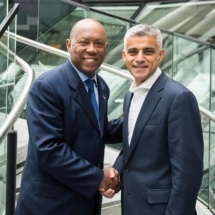 Above: Mayor Turner and London Mayor Sadiq Khan meet during the trade and investment mission to the U.K.
How much do you care about International Trade?